The Raymond Cass Foundation - Who was Raymond Cass? 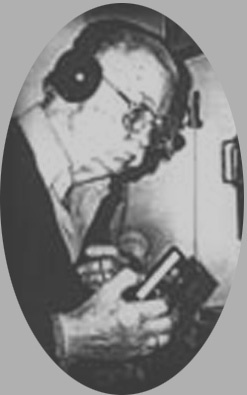 George Gilbert Bonner studied the Electronic Voice Phenomenon for over 20 years. He started researching EVP when he was in his mid 40's. As a psychologist and artist George subjectively approached the EVP with great passion. Gilbert issued a tape as he approached 65 to his colleagues and friends. This text is a part of tape (Which is archived at the Raymond Cass Foundation). As a psychotherapist he knew the power of the mind yet at no stage did he ever doubt the voices on the tape. Paranormal voices can be demonstrated by voice print analysis that identifies both male and female with their individual characteristics clearly charted but in listening tests spanning over several years Bonner could hear the same voice coming through countless times on his tapes. Bonner also points out, when a voice is captured on a tape and can be played over and over again this cannot be halucinary voices. Bonner (as did Cass) had contact with Meek, Estep, Sherman and many more researchers of the time. He also wrote to Jurgensen who ignored his mail (as he did with most people). As with many of the great EVP researchers, Bonner had no interest in psychic activity or the paranormal until he had listened to the Raudive tapes and captured voices himself. He worked 7 days a week and was once called a 'Voice Hunter'. Bonner tried for over a year to get a 'Spiricom' device up and working but had no luck at all getting a voice to come through. He believed that the voices where the closest thing he had ever come across as evidence of survival after death. Bonner wrote or worked for the SPR, a US Military base, Fate Magazine, plus many foreign magazines. George allegedly had over 50000 examples. However not many have survived. Fortunately George and Raymond talked via audio tape regularly and we have managed to get some of his voices. For any information please contact us at the email address below.